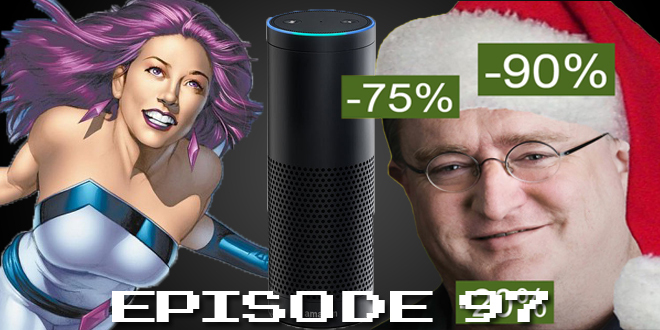 The Gamesmen, Episode 97 – Binging Bliss | The Gamesmen- What role will YOU play? Join Amras89 and Hardlydan for game talk and fun! This time, The Gamesmen talk about PS2 PS4 games, the Deus Ex: Mankind Divided delay, Valve’s Steam sales, the Gold Mega Man amiibo, Amazon Echo, the Nintendo NX predicted install base, Starwood Hotel, Apple head on finding music, a Duke Nukem delay, and Dark Souls. Games discussed are Game of Thrones, Animal Crossing: Amiibo Festival, and Fallout 4.